History of Drawing is a textbook and reference book available free to anyone who loves drawings. Use the navigator at the top of the page to jump between chapters. Thomas Buser earned his doctorate in Art History from NYU’s Institute of Fine Arts in 1974. He taught courses in Baroque Art and the course History of Prints and Drawings at the University of Louisville until his retirement in 2005. He has published Religious Art in the Nineteenth Century in Europe and America (two volumes, 2002) and the textbook Experiencing Art Around Us (second edition, 2006). As far as possible, the drawings have been reproduced throughout the book in the same scale: halfway across the page equals twenty centimeters (about eight inches), all the way across the page equals forty centimeters (a little less than sixteen inches). Needless to say, drawings that are wider than forty centimeters are out of scale. 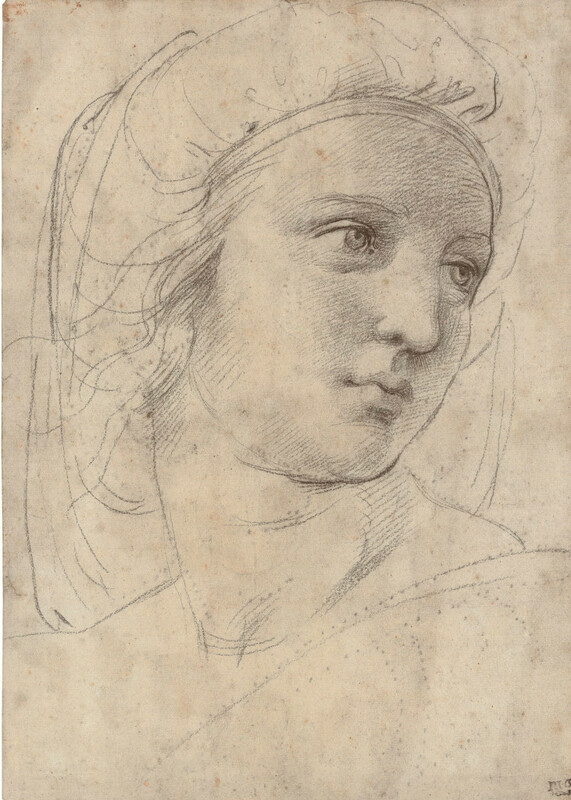 Raphael, Head of a Muse, 1510-11. Black chalk, 30.5 x 22.2 cm. Sold at Christie’s to a private collector, December 9, 2009, for $47.6 million, an auction record for a drawing. 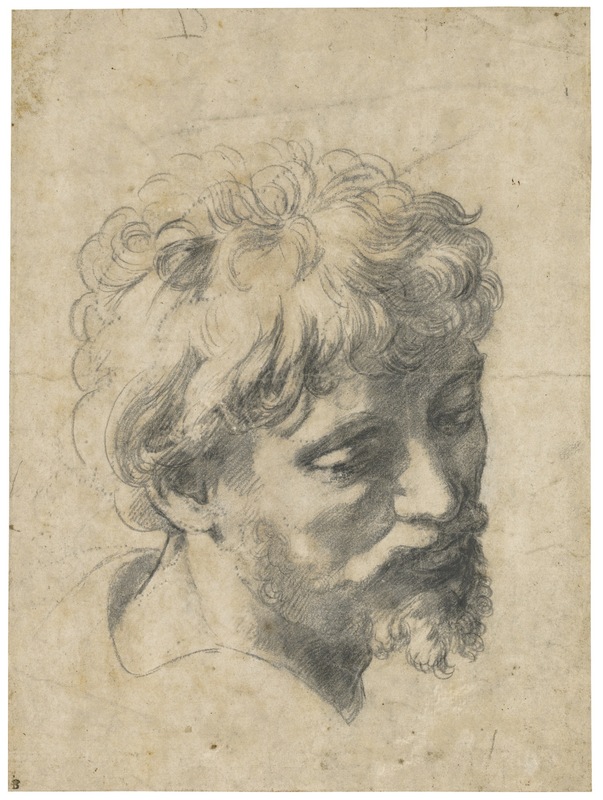 Raphael, Head of a Young Apostle, 1519-20. Black chalk, 38 x 28 cm. Sold at Sotheby’s, December 5, 2012, for $47.8 million, a new record for a drawing sold at auction.